Thanks to America’s beer explosion, many drinkers are choosing their bar based on the beers on tap instead of the other way around. That, coupled with the continued existence of that thing known as the Internet, has led more bars to put their draft lists online. Now, in a genius little move, the company Priceonomics used data from one of the largest online tap list sites, BeerMenus, to determine which beer is most likely to be on menus in any given state. One pleasant surprise: Not every state is led by names like Bud, Miller and Coors (although the kinds of bars that serve those beers are far less likely to use a site like BeerMenus). But a more limited dataset actually makes the results more interesting. You don’t need a chart to tell you Bud Light is available everywhere. Priceonomics also analyzed the beer selections in 25 major cities. 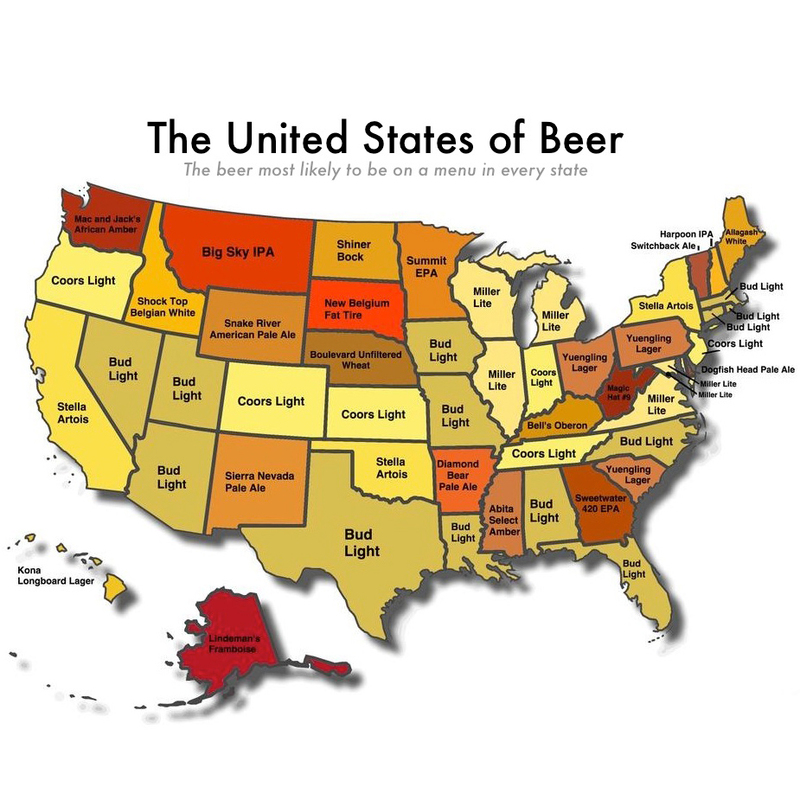 And for every city and state, you can see what percentage of bars and restaurants carried the most common beer. For instance, 69 percent of bars in Milwaukee listed Wisconsin mainstay New Glarus Spotted Cow. And down in Atlanta bars had an equal percentage of Sweetwater 420 Extra Pale Ale on tap. Lastly, for those of you still clinging to PBR before it falls out of favor entirely, the site ranked 52 cities based on what percentage of bars had Pabst Blue Ribbon on tap. Turns out PBR lovers should head to St. Louis or Madison, Wisconsin where 47 percent of bars served it up. Houston was at the bottom of the list with just a 5 percent PBR rate, probably in part because all the Houston hipsters have migrated to Austin by now.